The roll up of IoT connectivity providers continues, as Cisco in February moved to snap up Jasper Wireless, and KORE a month later announced its acquisition of Wyless Group Holdings. Cisco paid $1.4 billion in cash for Jasper. The acquisition will enable it to offer more complete, and thus simplified, IoT solutions. As part of the deal, Cisco also captures a broad array of enterprise and service provider customers. Twenty-seven service providers and more than 3,500 enterprises use the Jasper IoT platform to support their IoT initiatives, which range from applications involving automobiles to those involving jet engines or implanted pacemakers. Jasper CEO Jahangir Mohammad becomes the head of Cisco’s new IoT Software Business Unit as part of the deal. The value of the all-cash KORE-Wyless deal, meanwhile, was not disclosed. KORE is 37 percent held by three of the original KORE partners, including CEO Alex Brisbourne, and 63 percent by private equity investment firm ABRY Partners. Wyless has more than 80 shareholders, with the largest single block held by a U.K.-based capital fund, and controlling interest by its cofounder and chairman. Following the announcement of KORE’s move to buy Wyless, Brisbourne told me that his company and Wyless have a very similar history, having both started in the U.K. as M2M solutions providers in 2013, and both with strong teams. But, he said, Wyless is half the size of KORE in terms of revenue. “We’re on our way to being a quarter of a billion-dollar player in this market,” Brisbourne said, adding that KORE needs more people who understand this business and how to develop it. become KORE’s COO. And the combined organization was expected to announce the rest of the executive team in the weeks following the deal, which was expected to close early in the second quarter. In addition to giving it access to more IoT people, the deal will provide KORE with global SIM technology that Wyless acquired a few years ago but hasn’t yet leveraged, access to more data center and network facilities, and the ability to deliver a more complete IoT solution in a broader geography, Brisbourne said. Wyless has operations in Brazil, the Netherlands, North America, and the U.K., and North America represents about half of the Wyless business while the rest comes from Europe and a bit from Latin America. KORE has been doing acquisitions at a rate of about one a year for the last five years, Brisbourne noted, and there are likely more to come. Additional acquisitions would most likely be in the analytics, application hosting and support, and/or data management arenas, he said. “We see in the middle of all of this is the network, and without the network we don’t have the mechanism to harvest data,” said Brisbourne. KORE’s strategy behind all of this is to build a “completely integrated software services business for the IoT space where connectivity is the underpinning is the underlying strategy,” he added. As everyone who follows the IoT space by now knows, this is a very fragmented ecosystem. 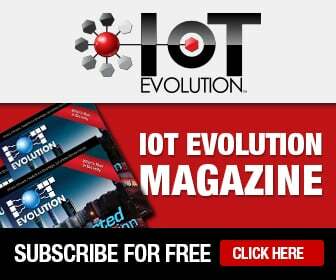 So companies like KORE – which last year acquired fellow M2M connectivity provider RACO, and the year prior snapped up Jazz Wireless – have been working to bring the pieces together so enterprises have ease of implementation and so IoT businesses themselves can benefit from scale. “Broader integration of solutions for IoT is healthy and is worthy of investment,” Bribourne said.